Jerry Garcia. Barack Obama. Robert DeNiro. What do these American icons have in common? They’re just a few of the notable personalities captured by the lens of Erik Kabik. A lifelong passion for photography has taken Erik around the world, from Turkey to Israel, Indonesia to Cuba and beyond. These travels have informed his photography and infused his work with an undeniably broad worldview. 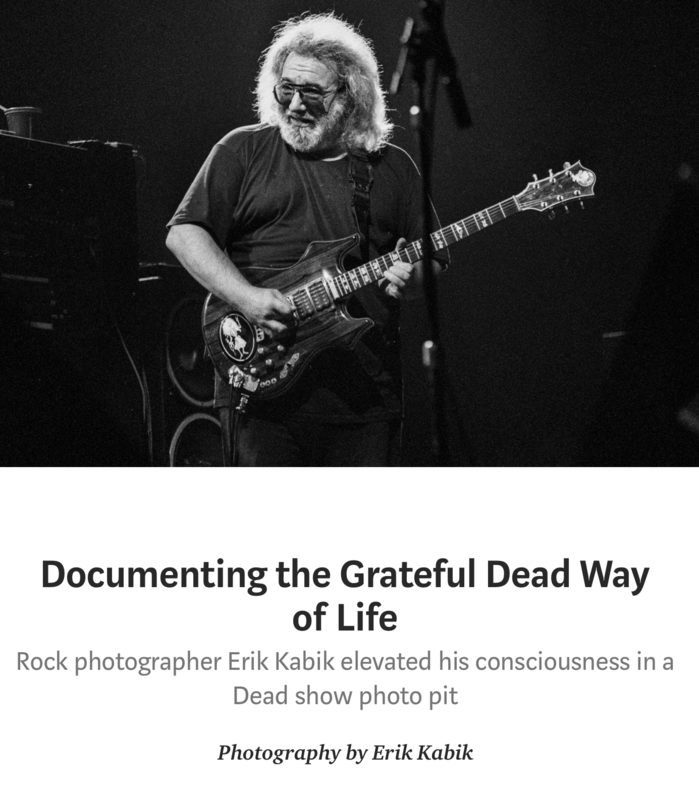 Erik began his photography career in the 1990’s as a teenager shooting in the pit at Grateful Dead concerts when long time Grateful Dead publicist Dennis McNally gave him his first break. Erik earned his degree in Communications, with an emphasis in Photojournalism, from Southern Oregon University. 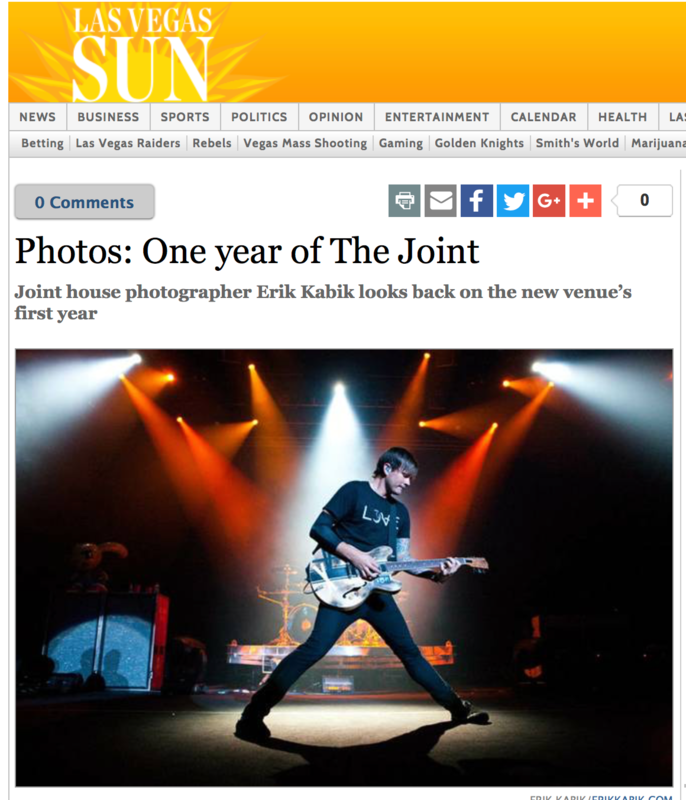 He relocated to Las Vegas where he combined his love for music and photography and has been documenting the live music scene in Vegas for over 20 years. 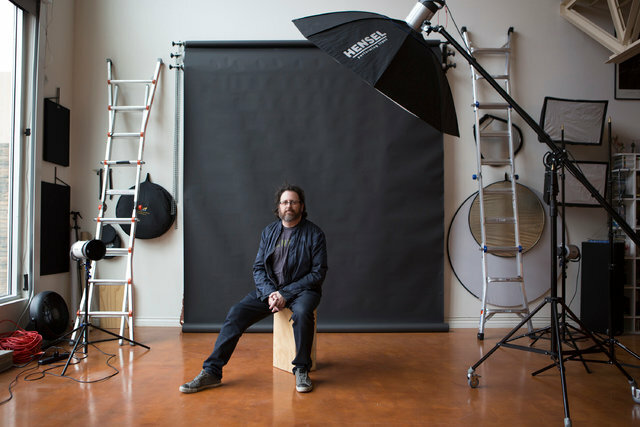 He has photographed musicians as diverse as Beyonce and Willie Nelson to The Grateful Dead and Kiss. 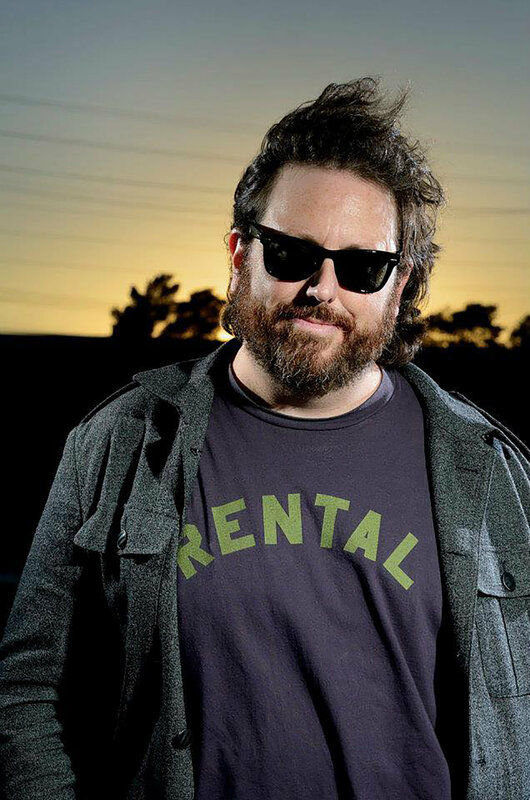 Erik’s passion is rock and roll photography but his work expands into celebrity, pop culture, travel, news, architecture and food and beverage. 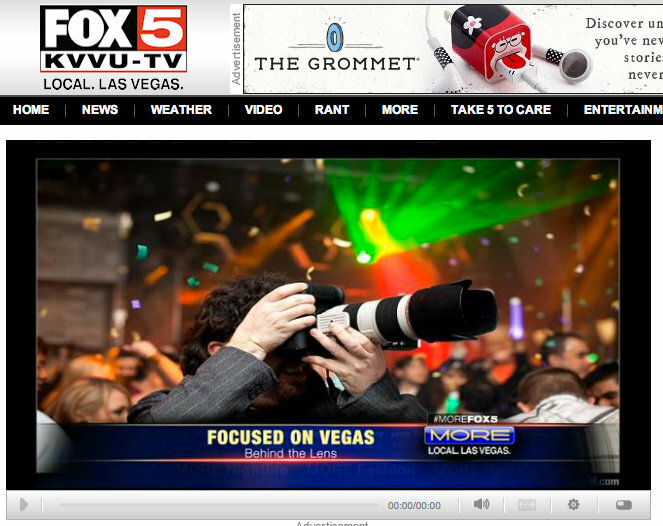 Erik is currently the Lead Photographer for MediaPunch in Las Vegas. Corporations and PR companies can count on MediaPunch to handle a shoot from start to finish, assist with pre- and post-publicity needs, and give any client and its event or product targeted editorial placements and strategic exposure including TV, online, print, social media platforms and more. MediaPunch is equipped to not only distribute the photos, but to work with social media strategists to showcase your job, ensuring that it appears on the most highly ranked social media pages currently trending. 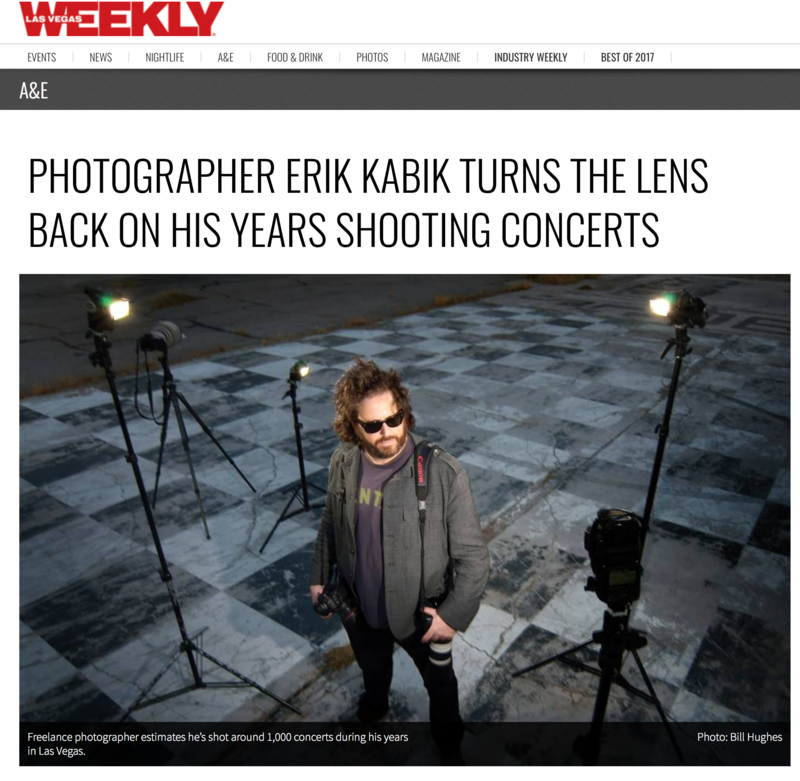 Erik and his team of photographers provide house photography services to PR firms, venues and casino resorts for award shows, concerts, galas and premieres. 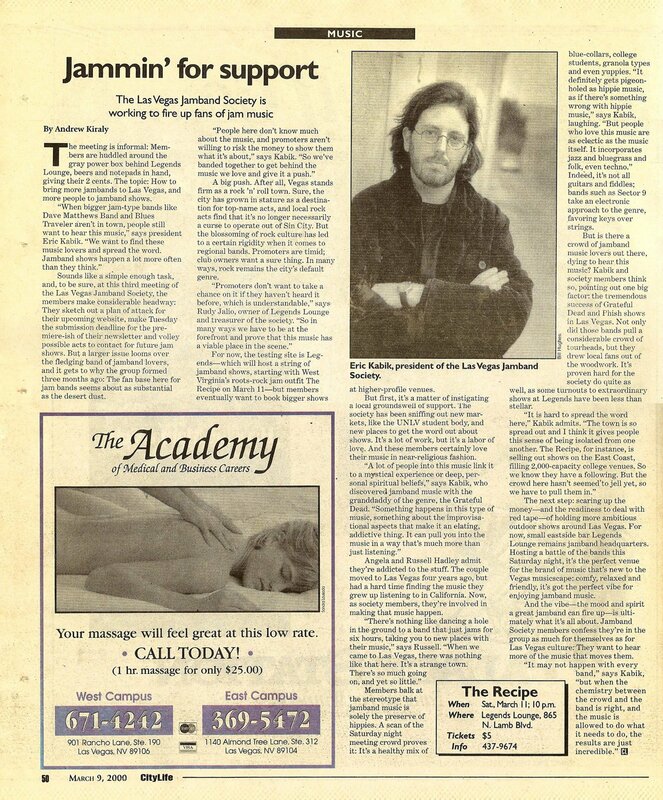 Erik has been covering concerts, events and celebrities in Las Vegas since 1996. 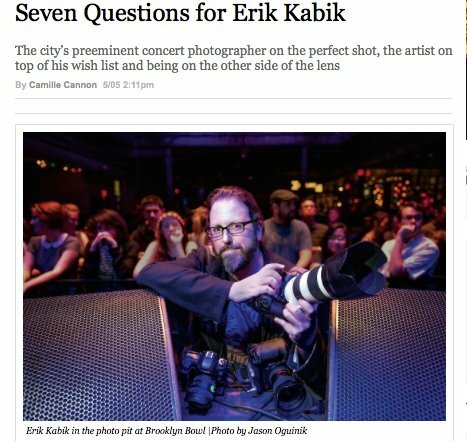 Erik is the House Photographer for Hard Rock Hotel & Casino, Brooklyn Bowl Las Vegas and The Cosmopolitan of Las Vegas. His live music photo collection, Classic Rock For The Future: Vol 1, has been on display in various John Varvatos clothing stores throughout the United States. 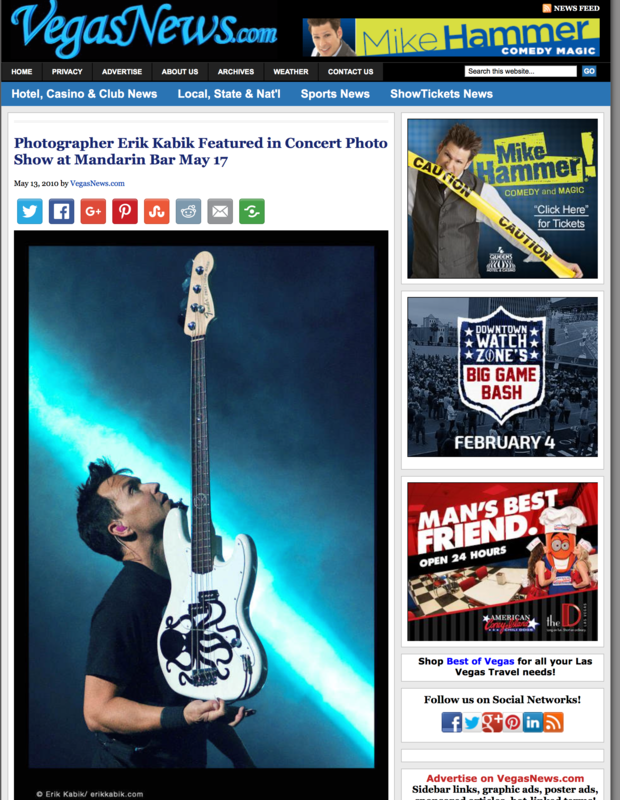 When he’s not at his home or studio in Las Vegas, you’ll find Erik shooting concerts, VIP galas, and events of all varieties all over the Las Vegas Strip. Erik earned his degree in photojournalism from Southern Oregon University. 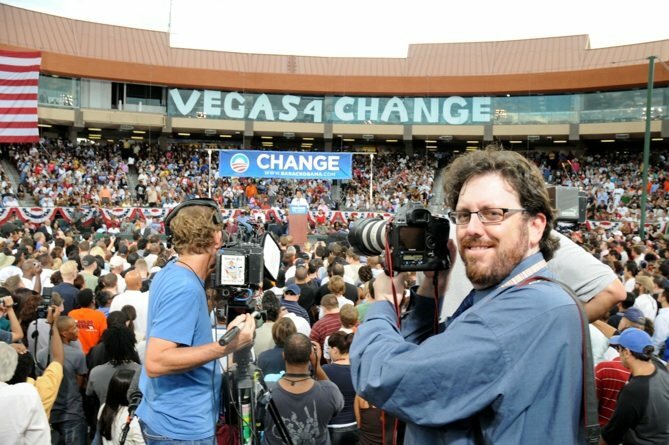 In addition to Erik’s photography work he co-founded and operated Las Vegas Stock Photography Agency in 1998 & DigiStock Design in 2005. Thanks for visiting my site! I strive to consistently build my library of work, and I genuinely appreciate your feedback and communication about what you see here. After all, photography should create a dialog, so I’m always excited to talk about the work. My photographic philosophy is simple…I live in the entertainment capital of the world right now, so I capture as much as I can with an emphasis on my passion for live music. I do this through freelance and assignment work. Shooting is my chance to capture a pop culture moment in time – and to add to the overall historical record of artistic visions and personalities. I look forward to working with you on your next project or event. In the meantime, please check back for updates of my work and stay in touch with me through my site.